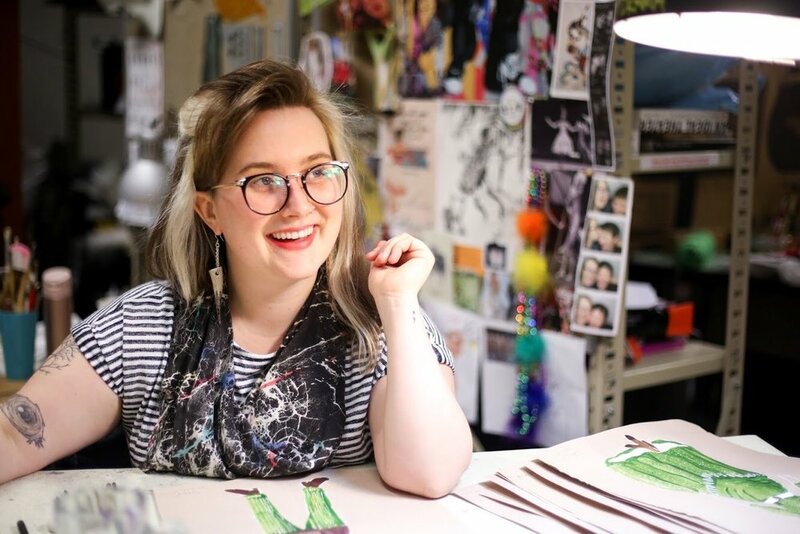 Emily Woods Hogue is a freelance costume designer with a heart based in New England and a suitcase ready for anywhere and anything. East Coast regional design credits include the Williamstown Theatre Festival, Speakeasy Stage Company, The Lyric Stage Company of Boston, Wellesley Summer Theatre, Suffolk University, and many, many more. Emily centers her work around close reading and collaborative world-building. Her favorite stories to bring to life feature strong, complex female characters; Emily believes that women's voices have a loud and vital place in the world's discourse. Designing since 2007, Emily's work weaves jewel tones, blood and rhinestones with a strong knowledge of historical design and pop culture. When she's not designing, you can find her exploring abandoned structures, reading ghost stories, or eating cheese danishes.